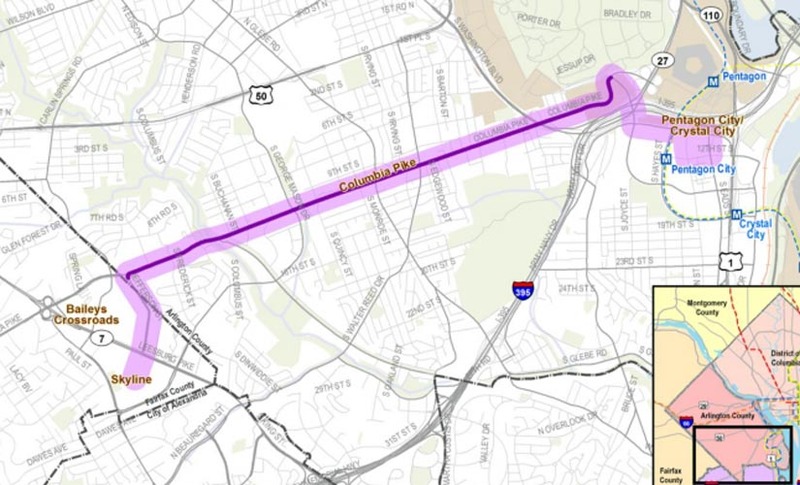 Arlington County’s own Transit Advisory Committee came close last night to passing a resolution supporting articulated bus service on Columbia Pike over the planned Columbia Pike streetcar project. The resolution, proposed by committee member Joseph Warren, was ultimately defeated by a vote of 6-5, but not before a spirited debate among committee members. 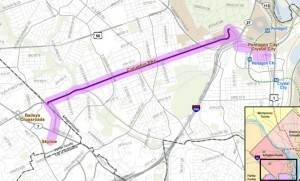 Citing a county-funded alternatives analysis, streetcar opponents on the committee made their case for why enhanced bus service — including higher-capacity articulated buses and a limited number of fixed stops along the Pike between Pentagon City and the Skyline section of Fairfax County — is a better option. “Articulated bus [is] a practical and far more cost-effective alternative than the modified streetcar,” Warren said in his resolution, which his read aloud. Committee member John Antonelli, who lives along the Pike, echoed Warren’s concerns about the reliability of streetcar service. But committee member Franz Gimmler said helping people get from one place to another isn’t the only thing that should be considered when planning transit service. He said economic development and enhanced livability are two important benefits that will come with a Columbia Pike streetcar line, but not with enhanced bus service. In response, streetcar opponents questioned whether the streetcar would truly bring practical economic benefits to those who live along the Pike, as the alternatives analysis suggests. 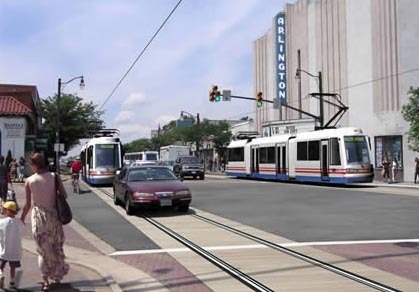 Arlington County Transit Bureau Chief Stephen Del Giudice, who spoke at last night’s committee meeting, said that project consultants believe the the streetcar will, in fact, raise property values along the Pike. Enhanced bus service, he said, would not provide the same benefit. Some committee members questioned whether the streetcar would raise rents along the Pike, forcing out those who live in what is now market rate affordable housing. Del Giudice said affordability was a major topic of concern at two recent public meetings held to discuss the streetcar. He pointed out, however, that rents are already rising along Columbia Pike, while income is flat. The streetcar, he said, could help the situation by allowing reinvestment along the Pike.